What a wonderful way to spend some time with a friend! That cake looks great already! OMG that is awesome. 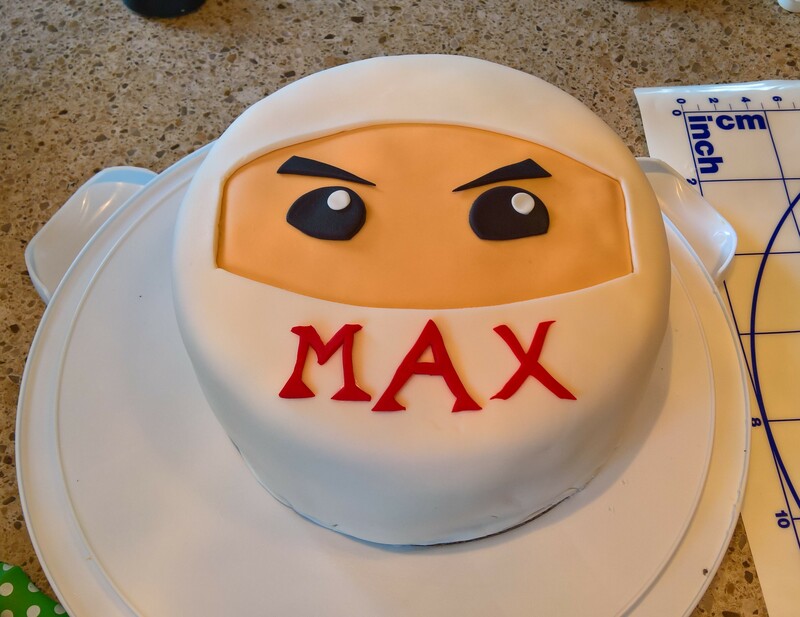 I wish I had a friend like you nearby…we are doing a Ninjago themed party this weekend for my son and I have no idea what kind of cake I can pull off (I tried working with fondant once and it was an unmitigated Cake Wrecks-level disaster. If you and your family moved to Denver. Next door to me! Make me free cakes and teach me about fondanting. I would love to teach you fondanting!!!! !